To arrange Baptisms or weddings, please contact Fr O'Shea for an appointment. There is a coffee morning on the last Sunday of every month. This is held in the presbytery after Mass. Children from Y3-Y6 will attend Thursday morning Mass each week on a rota basis. We look forward to joining with parents and parish in celebrating Mass. Another moving Mass to celebrate our Y6 children as they move on to the next stage in their lives. School, parents and Church came together as tears of both pride and sadness were shed. We wish the class of 2018 all the best as they continue their journey. Congratulations to the children in Y4 who made their First Holy Communion on Saturday 16th June 2018. This was a fabulous celebration, bringing together children, their parents and families, school and parish. In December 2016, children from this year's Sacramental Preparation programme (Y4) made their First Reconciliation during a Service of Sorrow. The children were well supported by their families and school. Our congratulations go to all the children. The Sacramental Preparation programme for children in Y4 has begun. Here is a reminder of the dates for session where parents, parish and school will work together to help prepare the children to celebrate the sacraments of Reconciliation and First Holy Communion. Wednesday 9th November, Wednesday 23rd November, Wednesday 18th January, Wednesday 8th February, Wednesday 15th March, Wednesday 10th May. The provisional date for Reconciliation is Wednesday 7th December at 2pm. The provisional date for First Holy Communion is Saturday 10th June 2017. Once again the time of year came for the whole school family to gather together in Church for the final Mass of this academic year, led by our Y6 children. A mixture of pride and sadness was felt as we participated in this moving service. We wish the Class of 2016 the very best of luck as they move on to the next stage of their journey. On the feast of St. Peter and St. Paul, we held our whole school celebration for the Y4 children who have received the Sacraments of Reconciliation, Confirmation and First Holy Communion this year. The whole school family, from Reception to Y6, attended morning Mass together as part of this celebration. The children who have been involved in this year's Sacramental preparation programme received special certificates from school at the end of this Mass and received a well deserved round of applause. Celebrations continued in school throughout the day, including an ice cream treat for everyone. What a fabulous day! A wonderful celebration was held in Church on Tuesday 17th May 2016. Children from Y4 were confirmed and received Holy Communion for the first time. This was a wonderful joint celebration for the children in Y4 at both St Patrick's and St William's schools. The children were well supported by family, school and parish. Many congratulations! In December 2015, children from this year's Sacramental Preparation programme (Y4) took part in a service of Sorrow, where they made their first Reconciliation. Our congratulations go to all the children, who were well supported in this celebration by their families, staff and other children from within school (who formed a choir for the service). On Monday 21st September 2015, the whole school gathered to celebrate Mass in Church. Children from Y3-Y6 wrote their own bidding prayers to share during this Mass. We look forward to a successful year in school. On Thursday 16th July 2015, the whole school gathered together in Church for the final Mass of this academic year, lead by our Y6 children. A mixture of pride and sadness was felt as we participated in this moving service. We wish the Class of 2015 the best of luck as they move on to the next stage of their journey. On Monday 29th June 2015, on the feast of St. Peter and St. Paul, we held our whole school celebration for the Y4 children who have received the Sacraments of Reconciliation, Confirmation and First Holy Communion this year. The whole school family, from Reception to Y6, attended morning Mass together as part of this celebration. The children who have been involved in this year's Sacramental preparation programme received certificates from school and a set of Rosary beads from the parish at the end of this Mass and received a well deserved round of applause. Celebrations continued in school with a picnic / playground party at dinner time, a gift of a Children's Missal to each of the children who have received the sacraments this year, and an ice cream treat for everyone. What a fabulous day! A wonderful celebration was held in Church on Saturday 13th June 2015. 15 children from Y4 were confirmed and received Holy Communion for the first time. The children were well supported by family, school and parish. Congratulations! 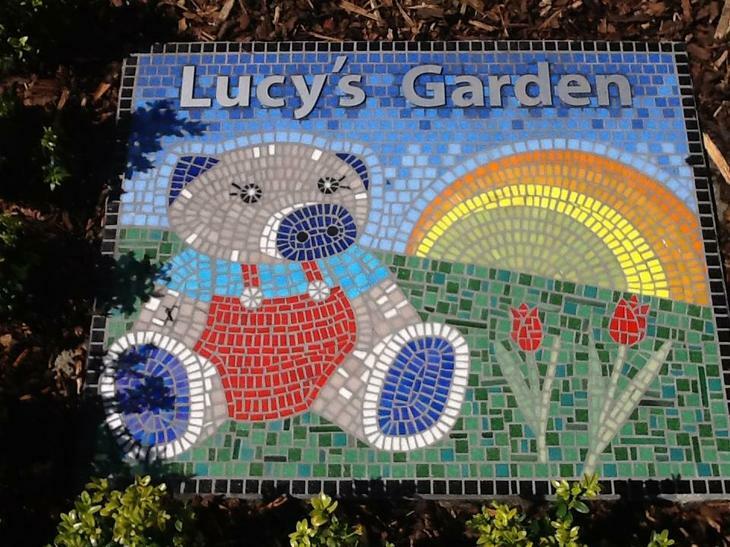 On 23rd April 2015 our prayer garden, dedicated to Lucy Davies, was officially opened. Children and visitors participated in a very special Collective Worship, before the prayer garden was blessed and officially opened. The garden is a beautiful tribute to a pupil who inspired us all. On 10th December 2014, children from this year's Sacramental Preparation programme (Y4) took part in a service of Sorrow, where they made their first Reconciliation. Our congratulations go to the children, who were well supported in this celebration by their families, staff and other children from within school (who formed a choir for the service). We look forward to continuing our sacramental journey together. As we ended our first week back of the new academic year, we gathered in Church for our whole school Start of Year Mass. Children and Staff gathered together with members of the Parish to celebrate morning Mass on Friday 5th September 2014. Here's to a successful year! On Saturday 7th June 2014 29 children from Y4 were confirmed and received Holy Communion for the first time. It was a wonderful celebration for the children, families, school and parish. On 17th March 2014, the whole school joined morning Mass to celebrate St. Patrick's Day. We also then enjoyed a delicious chocolate treat from Mrs Bruen. During Lent, as part of Friday morning Mass, the children from Y2 - Y6 have worked hard to present the Stations of the Cross through drama. At 6:30pm on Wednesday 18th December, the school and parish joined together for our annual carol service. The children who played an active role in the service; as a reader, actor in the Nativity or a member of the choir represented our school well. All present enjoyed the evening to prepare ourselves for the final week of Advent. Congratulations go to 29 of our Y4 children, who made their First Reconciliation on Thursday 12th December 2013 at St. Patrick's Church. They were very well supported by parents, staff and other children from within school (who formed a choir for the occasion). Everyone present was extremely proud of the children. Friday 6th September 2013 saw the children and staff of St. Patrick's celebrating their first Mass of the new school year with the parish. Here's to a successful year for all! The children in Y4/5 were thrilled today (12.6.13) to receive a thank you for the book of prayers they sent to Pope Francis. On Saturday 18th May 2013, 21 of our Y4 children were confirmed and received their First Holy Communion during a special Mass in Church. The Mass was a wonderful celebration with the children, their families, the school and the parish. The children in Y4/5 were interested to find out more about our new Pope. After discovering that the Pope ended his first prayer to the people asking them to pray for him, the children worked hard to write their own prayers for the Pope. After completing their prayers, a booklet was compiled and sent to the Vatican. During Lent, each class throughout KS2 has attended Friday morning Mass in turn. We have worked hard to slowly build up the Stations of the Cross. Have a look at some of the photos of our drama below.